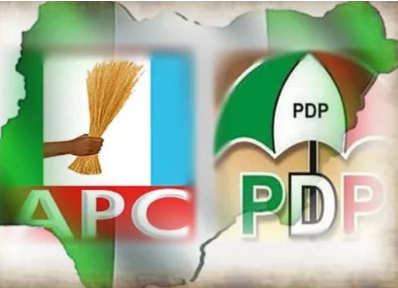 The race for the 2019 general election is getting tight with the leadership of the ruling APC depleting numerically in the north central. 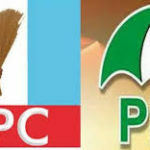 Ahead of the 2019 general elections, no fewer than 7, 235 members of the All Progressives Congress (APC) in Plateau State have dumped the broom and taken shelter under the umbrella of the opposition Peoples Democratic Party (PDP) in the State. The defectors were received by the Plateau PDP Chairman, Hon. Damishi Samgo, during the commissioning of Kanam PDP office, inauguration of Chairmanship Campaign Committee and Appeal fund raising in Dengi, Kanam. Receiving them, Sango, represented by Vice Chairman, Plateau Central Zone, Hon. Benedict Shiknughul, commended them for taking “the right decision’’ in their political race. “Today, we welcome you into PDP with open arms to work with you towards our victory at the 2019 general elections at all levels. “We shall accord you the privileges therein for all members of PDP on the plateau; ensure you are fully registered in your own various wards to participate in all our programmes, ’’ the chairman advised. Sango urged them to go straight to work and begin to campaign for PDP victory in all elective positions from the ward to national level against 2019. 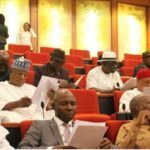 Responding, Yahaya Angwan-Gero, spokesman of the defectors, said, “ We are here in PDP for stay to work for its victory to take power from APC in 2019’’. “Some of us are asking for forgiveness for first leaving the party some times back and to give us the opportunity once again to prove our loyalty and commitment to the party once again,’’ Angwan-Gero pleaded. 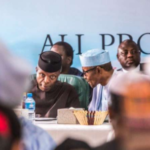 Earlier, the Kanam council Chairman, Aliyu Ali, advised all aspirants to elective offices not to allow their personal interests to override that of the party or the state. Dr Edwin Rinkwat, Guest Speaker at the occasion, decried the division along ethnic, religious and cultural differences in Nigerian politics. Rinkwat said until politicians had a change of heart, the nation’s polity would be polarised which will jeopardise the growth and development of the country.